Back on the Epynt ranges again for the 4th round of the 2016 King of Epynt championship the Harry Flatters Rally and Adrian and Mark were hoping for a better run than they had on the previous round the Mini Epynt stages were a small off on stage 2 dropped them to 46th A/O but such was their pace that they managed to fight back to 6th O/A by the end of the rally, which still kept them in the lead of the King of Epynt championship. The weather was perfect for the rally with the roads being nice and dry and with the previous years winner Damian Cole out in his Ford Fiesta WRC seeded at 1 it was going to be a tough rally. 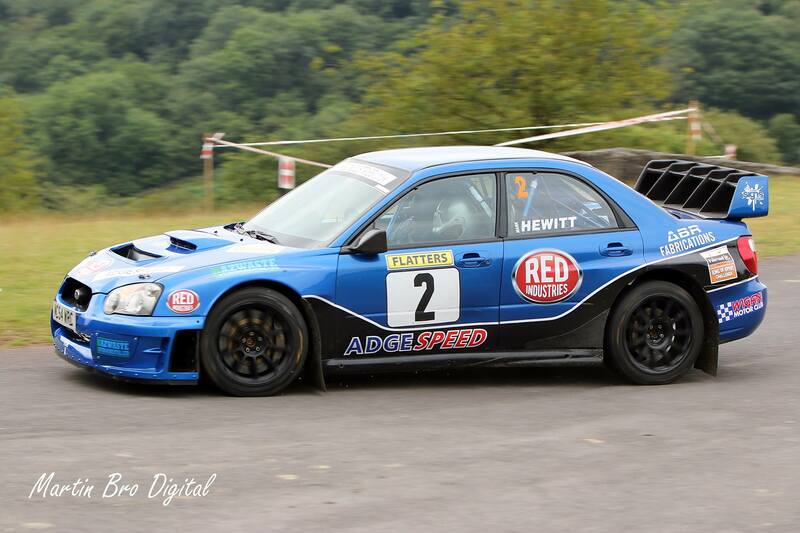 Adrian and Mark were seeded at 2 with Bob Fowden in his similar Subaru Impreza WRC S11 seeded at 3. 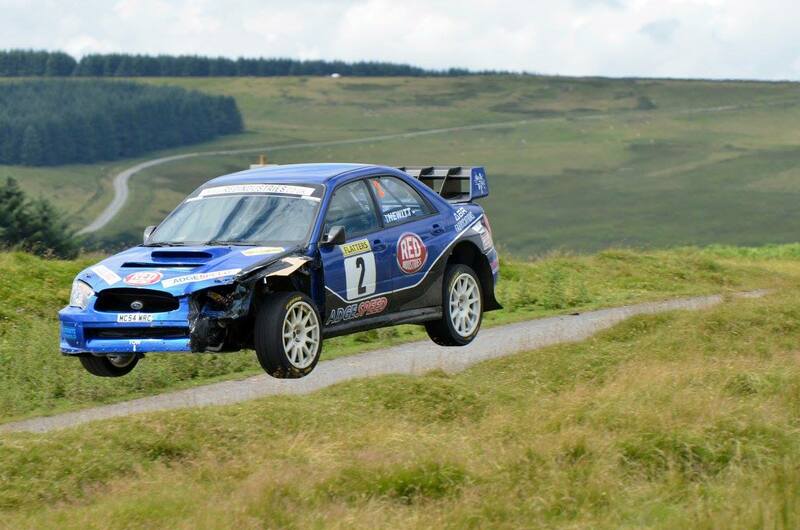 Also on the entry list was John Stone in his Ford Fiesta 2.5L Millington at 4 and Andy Fraser at 5. Into the 1st stage a 15 miler starting down near the Llandeillo Fan triangle and ending at the end of the New Road, it was a tough start to the rally, nearing the end of the stage Adrian was catching Damian Cole who had had an off and picked up some punctures when a sheep appeared unseen from a ditch at the side of the road, which unfortunately Adrian hit even after breaking hard to avoid it as the sheep stopped in front of them, with the car badly damaged and Adrian watching for signs of mechanical issues, they caught and past Damian Cole. However Andy Fraser was on the pace and set the quickest time beating Adrian and Mark by 2 seconds, with Adrian and Mark 4 seconds quicker than Bob Fowden. A quick look at the car and although the car was badly damaged no mechanical damage was evident, so they returned to service to assess the damage. The service crew of Paul, Barry, Joe and Taff set about sorting the car and with no immediate issues and being 2nd overall, it was off to stage 2 a repeat of stage 1. With John Stone retiring with engine issues and Damian Cole's car now with 4 inflated tyres it was looking a 4 way fight between Adrian Spencer, Andy Fraser, Damian Cole and Bob Fowden for the win. With no sheep in the way but a bit wary Adrian was 3rd fastest, but Damian Cole was flying trying to make up for the loss of time on stage 1 and set the fastest time 14 seconds faster than Andy Fraser and 26 seconds faster than Adrian who was still 2nd O/A behind Andy Fraser with Bob Fowden 3rd. With more work on the car and with no apparent mechanical issues it was off to stage 3 which was stage 1 in reverse starting at the Drovers end and heading back. With Adrian gaining in confidence that the car was OK a good run ensued beating Andy Fraser by 4 seconds, a new set of Pirelli's latest tyres working to good effect, but Damian Cole was flying beating Adrian by 21 seconds to move up into 2nd and drop Adrian down to 3rd. The modifications and improvements carried out by M Sport on Damian's car obviously transforming the car since the Tour of Epynt. Stage 4 was a repeat of stage 3 and again Damian Cole set the fastest time beating Adrian by 13 seconds and again Adrian pulled some time back from Andy Fraser beating him by 3 seconds. Bob Fowden was hanging on to 4th but was slowly falling back from Adrian. Into stage 5 the last of the rally, again another 14 miler starting at the Drovers end and ending at Picadilly and with Adrian having closed the gap to Andy to 7 seconds a big push was on to try and get 2nd as Damian Cole was just too far ahead unless he had a problem. Nearing the end of the stage and Adrian could see Andy and they caught him just as they entered the control, although happy to have taken 2nd it was obvious that Andy Fraser must have some problem when smoke started coming from the engine compartment which then caught fire, it took approx 10 mins and 19 extinguishers before finally the fire was put out. 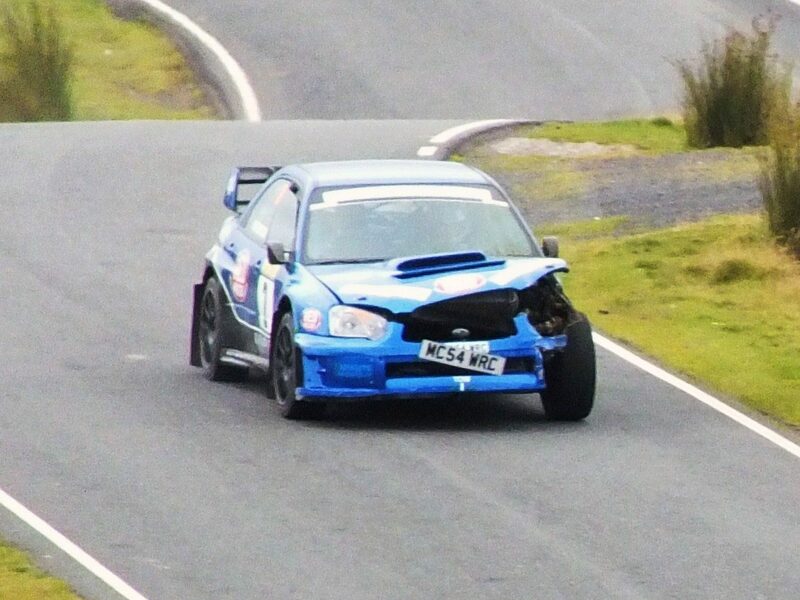 Fortunately the car was not too badly damaged, but enough not get to the finish. So at the end Damian Cole took the win with Adrian Spencer and Mark Hewitt 2nd followed by Bob Fowden in another Subaru Impreza WRC S11. This result means that Mark Hewitt wins the King of Epynt Co-drivers Championship, but unfortunately they are not able to compete on the last round as the car could not be repaired in time for the Mewla and having to drop scores now means that a good result from Damian will see him as Champion again, however he has to get the result so anything can happen. With the car now being repaired, the team are deciding on what event next. Watch this space.